Sun’s out, fun’s out with these 5 scavenger hunt ideas that kids will love. From day time to night time, going on a perfect adventure with your kids creates tons of memories and laughter. See what you can find and be guided with these free printables and inspirational ideas for connecting with your kids on your next walk. Scroll down to find an idea that your family wants to do and then follow the link to print off the hunt! Make sure you are on desktop and these printable guides are free for your personal usage and family fun. All these ideas below are meant to be walked around with and enjoyed, but if you are on a trip, why not grab this License Plate Game Printable so your kids can scout states from the back seat! Summer has arrived and kids want nothing more than to be outdoors. Let them head out on a fun summertime adventure outside. Guide them along with this free summer scavenger hunt printable which celebrates all things summer. 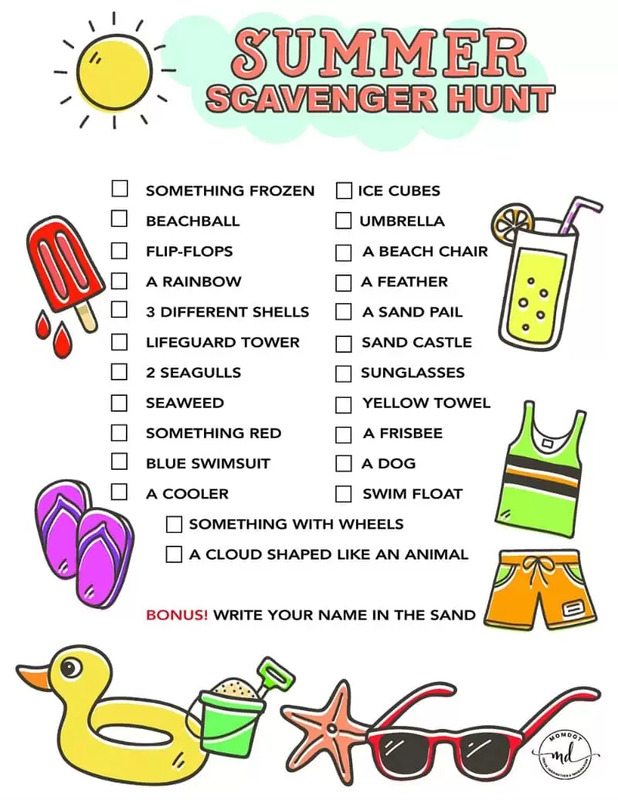 Perfect for a beach day or a pool day, just click below to be taken to the summer scavenger hunt and print! Load up your kids in the car or grab the dog and go on a walk, because this outdoor photo scavenger hunt is so fun! Pick a subject like trees, flowers or bugs, and simply walk around and snap pictures of every different one you found! We decided to focus on flowers as they are fun to photograph and there are so many. Let kids use a device to take pictures and then research the kinds when you get home. You do not need a sheet for this one, just a camera! 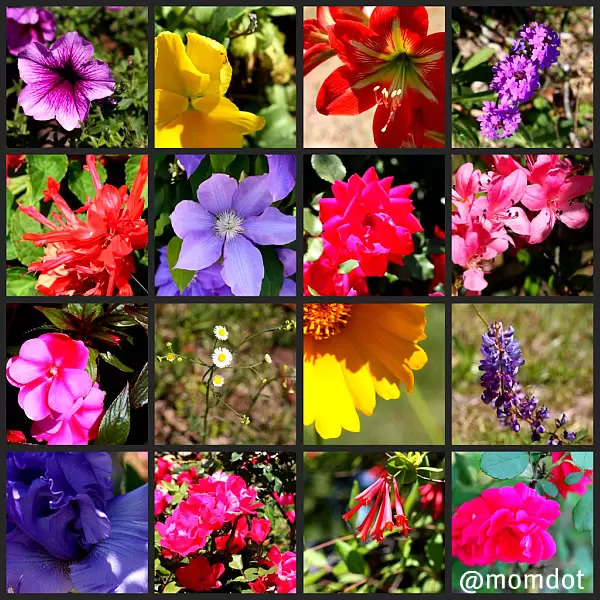 Here are some of the flowers we found on our photo scavenger hunt adventure. Nature scavenger hunts are so much fun. You can take your kids out into a park, downtown, or even your own neighborhood in search to find trees, bugs, and shapes. 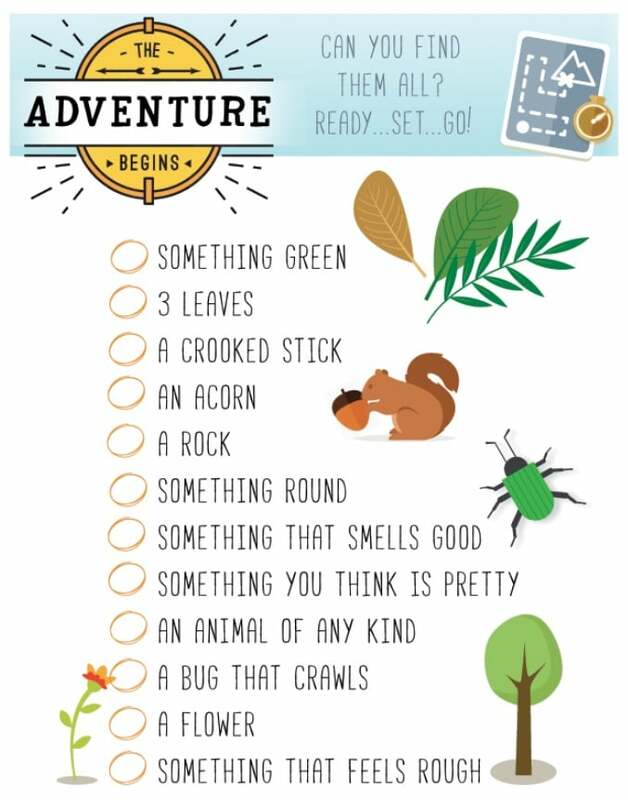 This nature scavenger hunt adventure is a favorite for my kids and it will be for yours too. This printable set is also fun for boy scout/girl scout packs and come with its own set of badges. Best part is downloading it is totally free! Just click this image to go to the page and print. 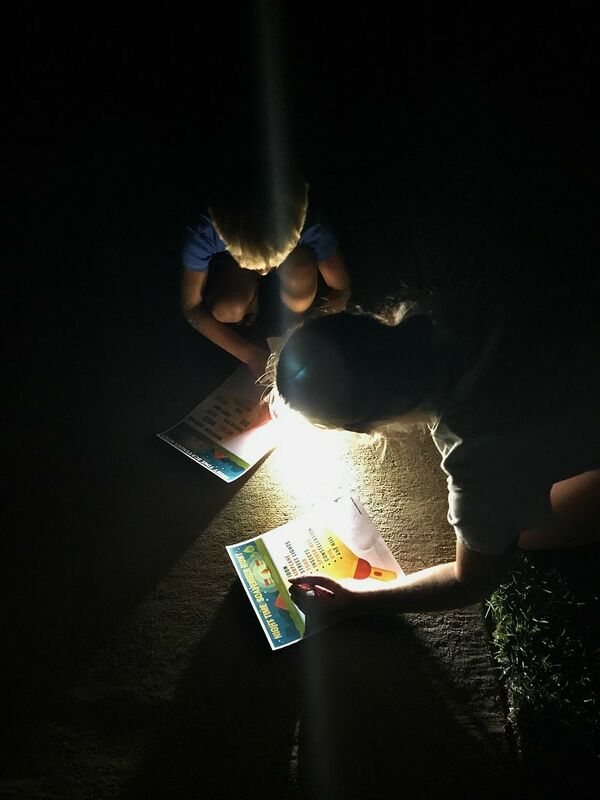 Another super fun scavenger hunt idea for kids is to take it outside at night! 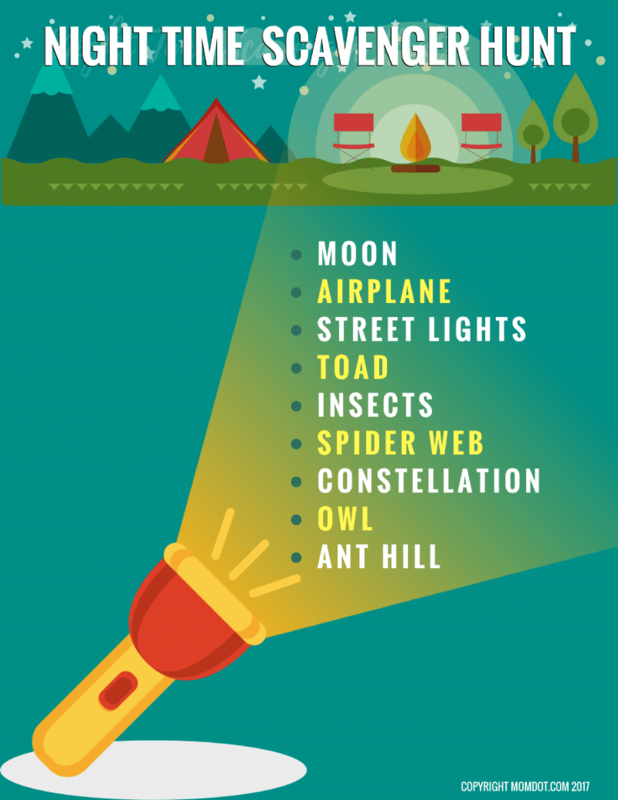 There is nothing more fun than grabbing some flashlights and seeing what creepy crawlies come out when the sun goes down. From new bugs to new sounds, walking at night is a ton of fun. See our entire night time scavenger hunt for kids by clicking below. You can also print these helpful sheets to mark off as you go on your adventure! You can also use scavenger hunts to learn! We developed this Fire Safety Scavenger hunt to help prep your kids for going around the house and being aware of where everything is in case there is a fire. This simple game is one that can also save you or your kids life in event of an emergency. 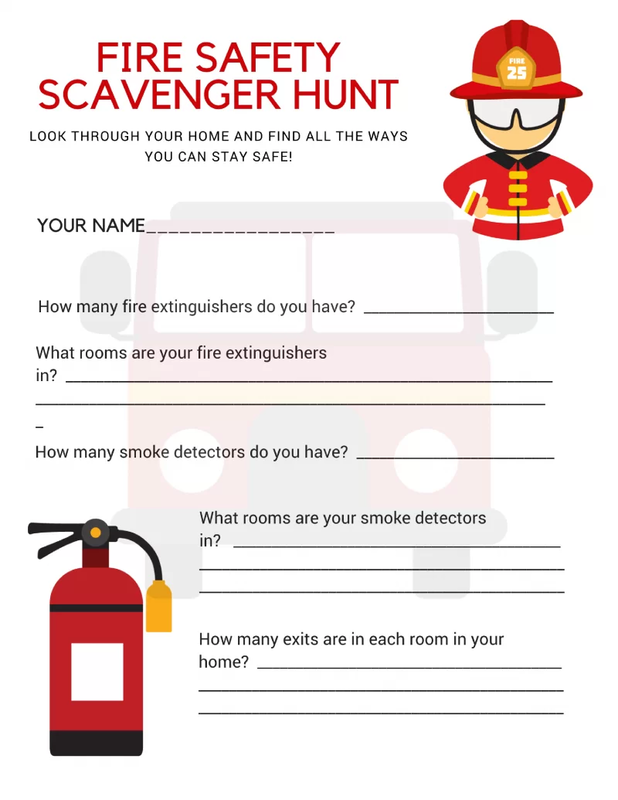 Download the fire safety scavenger hunt printable sheet here. May I suggest that you enter this flower scavenger hunt in the contest that is currently going on over at http://www.scavenger-hunt-guru.com/scavenger-hunt-contest.html Great, creative idea! That sounds like a super fun time!!!! Oh I love the clematis. We have one but it is a deeper purple. Such a great idea. She has a good eye for gorgeous flowers! I have taken my kids on a nature scavenger hunt…not hunting for anything specific…just filling a bag with acorns, pinecones, leaves, sticks, etc. Then we come home and use those items as make-shift paintbrushes and paint a picture…of whatever they want. It’s cool to take a pic of them painting…save a couple of the paint-y rocks and sticks and then put the pic, the sicks and the painting in a shadow box for a memory! What a great idea! Next time my daughter is bored (which hardly ever happens) and we have nothing to do, I will remember this and we’ll try out your adventure. Very good idea! PS…By the way, beautiful pictures! Thanks for sharing! Oh my goodness those pictures are BEAUTIFUL!! Glad you two had a good day together! What fun! and lovely photos too. I have done something similar with my 3 kids and we did an I-Spy Bingo type of game for long road trips. LOVE the idea! I have created a scavenger hunt website which is an ongoing work in progress. There is a place there for visitors to submit their own hunt ideas and even upload a photo. I’d LOVE it if you would like to contribute. Also, I’m wondering if you ever do reviews of Kids Activity websites like mine. I think scavenger hunts and ideas would be a great resource for your visitors. Let me know if you would be interested in doing a site review or interview. Again, LOVE this hunt idea!! Way to get your creative juices flowing. That last pink flower is awesome. I can’t believe how much the color pops! Oh how neat. Sounds like she had fun. I may have to do this with Owen this summer. Gorgeous pictures! Love your adventure idea! We do that sometimes but go for a walk down our dirt road instead. We look fr bird nests, wildflowers animal tracks, whatever interesting things we can find! Have a great weekend! Love those pictures, you got some fun flowers! Sounds like fun! The pics are gorgeous! that was so so so sweet! Shae and I need an adventure! Sounds fun! Those are some gorgeous flowers!